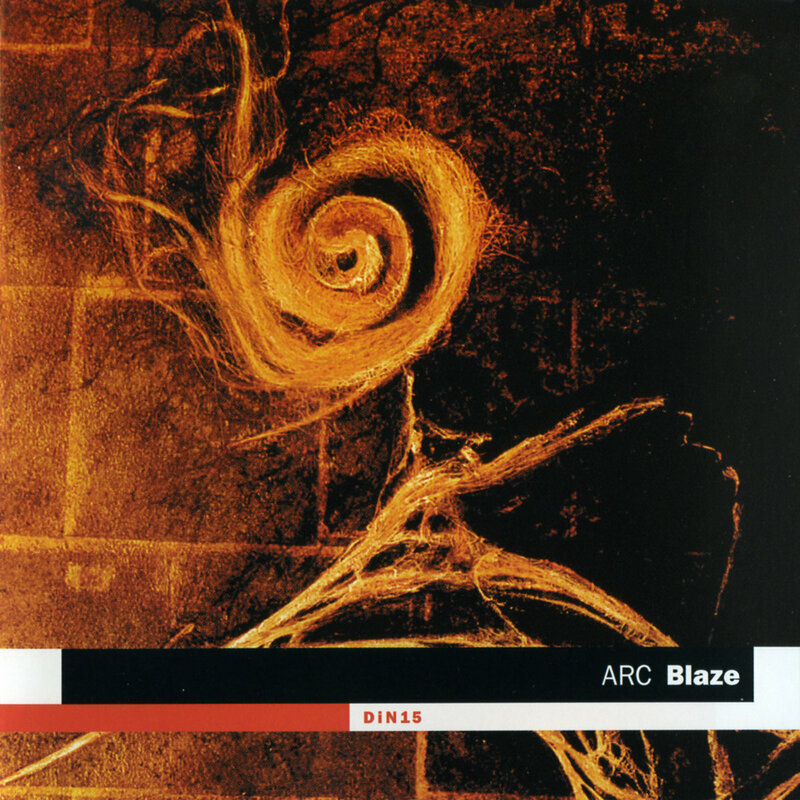 “Blaze” is the third CD release by ARC and their second CD on the DiN label. The duo is comprised of DiN founder Ian Boddy and Mark Shreeve and the pair are joined on the album by guest musician Carl Brooker who plays drums on four of the discs eight tracks. Both Boddy and Shreeve have been at the centre of the UK independent synth scene since the late seventies and have known each other since they both appeared at the very first UK Electronica in 1983. Shreeve has been involved with his Redshift project for the last 10 years which has revolved around extensive use of an arsenal of vintage synths including a giant Moog IIIc modular system. With Redshift he has released six albums and performed several concerts as a four piece band. DiN 7 in 2000 and was a document of this concert. “Blaze” has a running time of almost 55 minutes spread over eight tracks with a split of five rhythmic and three atmospheric pieces. Their signature sound of muscular Moog sequencer riffs overlaid with layers of ambient keyboard is still very much in evidence. However the addition of acoustic drums played by Carl Brooker on four of the five rhythmic tracks gives an added dimension and subtlety to the sound of ARC. Their music has a great sense of organic development and the drumming of Brooker further adds to the sense of dynamics. Once again ARC have compiled an evocative mix of the early Teutonic synth pioneers with modern ambient electronica.